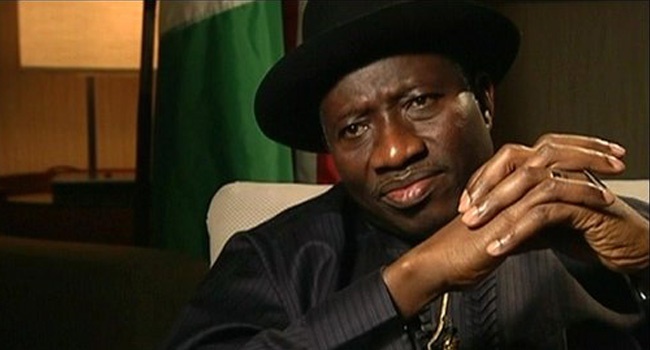 Former President Goodluck Jonathan has said there was no iota of truth in reports that he forcefully collected N5 billion monthly from the controversial pension fund..
Former President Goodluck Jonathan has denied receiving any money from the controversial pension fund. Jonathan said there was no iota of truth in reports that he forcefully collected 5 billion Naira monthly from the money. The claim credited to the Attorney General of the Federation and Minister of Justice, Abubakar Malami, had alleged that the chief legal officer to the federation had told a Senate ad-hoc committee that an ex-President was taking 5 billion Naira monthly from the Pension Fund. In debunking the claim, Jonathan, who spoke through his media adviser, Ikechukwu Eze, said it was "a blatant lie hurriedly cooked up to divert the attention of the general public from the raging ‘Mainagate’ and other embarrassing scandals". "We believe that the story was concocted as part of the unfolding grand design to always dodge responsibility and blame every evil act taking place in the present dispensation on the past Jonathan administration. "In the first place, we do not believe that Malami made such a claim because he is in a position to know that it is simply not true," Eze wrote.